Volvo has been full of fun surprises lately, and clearly it’s enjoying the attention. Most recently the Sweden-based, Chinese-owned carmaker announced plans to turn its performance division, Polestar, into a standalone brand. Before that, the S60 Polestar set a Nurburgring lap record two years ago, which Volvo kept a secret. 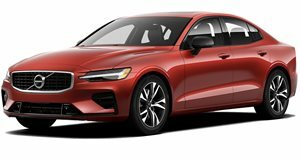 By letting Polestar go off and do its own thing, all sorts of ridiculousness could happen, especially since it’ll focus solely on electrified performance. That fact alone ought to make the performance divisions of Audi, BMW and Mercedes take note. All three are synonymous in the premium performance business. But here’s the thing: none of them are devoted solely to electric cars, and it’s becoming more evident that EVs are the future. Tesla has proven this, and GM continues doing so right now with its new Bolt. The Rimac Concept One is an outright bonkers hypercar in its own right. Polestar is aiming to get in on the ground floor of many technological breakthroughs void of dead dinosaur-sourced combustion. 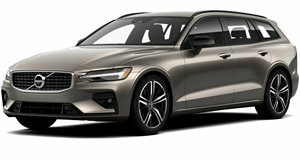 And because Volvo has firmly re-established itself as a relevant player in the luxury field, Polestar will have no problem sourcing luxury when needed. Breathtaking performance combined with luxury has worked extraordinary well for the Germans, but Volvo needed to do something bold with Polestar. Its current offerings, the S60 and V60, have largely been swept under the rug by the general public, enthusiasts aside. In order to ensure Polestar’s long-term survival, it needed to be different, and going all electric is the perfect solution. It’s just smart business. Brilliant engineering, unique design and outstanding build quality, and plenty of safety tech. That’s Volvo, and Polestar has only begun to write its own mantra. That alone ought to keep its German rivals up at night.